ND: LET'S TAKE THE FIRST STEP CORRECTLY AS A REAL BUDDHIST! "This is the BLOG of "Nirvana Dhamma" web site which is Strictly for Human beings only! No matter what your status in this world is, No matter what you believes on, No matter what your religion is, Only matter is that whether you are a human being or not to gain the maximum benefits through all these efforts!" LET'S TAKE THE FIRST STEP CORRECTLY AS A REAL BUDDHIST! There is a very first step for a Buddhist! When a Buddhist child start to speak words for the very first time the parents of his or her teach them how to say Sadhu Sadhu Sadhu… from that very moment onwards, whenever they see Buddha or a Bhikku… or whenever they listen to Dharma pirith or soothra they start saying “Sadhu Sadhu Sadhu” and they continue this habit till they become grandparents or great grandparents which means till they become old! That is how a Buddhist starts his or her Buddhist path! Some people say “Sadhu Sadhu Sadhu” for 3 times… some previous generation’s parties say “Sadhu Sadhu Sadhu” 3 time and another long “Sa…a…a..dhu”, for the fourth time. If someone asks why all Buddhist practice this “Sadhu Sadhu Sadhu” or what is the reason for say “Sadhu Sadhu Sadhu” or how it becomes worship, what will be your answer? If you answered “that is the way Buddhist worship” will it be a wise answer for a wise Buddhist? NO NEVER! Because, a real Buddhist knows the exact reason to everything which him or her practice. So if you think you are a Real Buddhist you should know the reason for “Sadhu Sadhu Sadhu”. Then you become a wise person! So when someone asks what is the meaning of “Sadhu Sadhu Sadhu”? Why people say it for 3 times? Why some say it for the fourth time as a long one? Why it is always end with third or fourth times? Why we can’t say it for the fifth or sixth times? Why we should keep our gathered palms near chest or forehead or above the head when we say “Sadhu Sadhu Sadhu?” etc… etc… we should know the answers the exact answers for all these questions. We should think “do we able to answer these entire questions now?” I guess your answer will be “No”! So let’s see the exact answers and the meaning behind this practice! What is the meaning of “Sadhu”? The quality of “VIRTUE” means Sadhu! The Virtuous quality of a Real Buddhist is expressing through the word of Sadhu! When we think of being virtuous it has two meanings. One meaning is worldly and most of them know and the other meaning is the Truth and it is according to the Buddhist Path! So when we take the word “VIRTUE” it has a normal meaning which says “moral goodness; particular form of this / Good Quality / efficacy and “VIRTUOUS” means morally good; / chaste.All these meaning comes under these word and when we think of the extramundane meaning of these words they gives the meanings of being honest for the eightfold path, the noble path. Or else we can simply take a meaning as “someone who truly follows the noble eightfold path”! And the ancient Buddhist knows this real meaning of the word “Sadhu” and they use it to express their virtuous qualities with others. Now let’s see why we say “Sadhu Sadhu Sadhu” thrice or sometimes a long “Saaaa… dhu” for the fourth time! Here we got a great place to think with our own minds! Then we got first Sadhu for being disciplined by body / Kaayena Sanwaro Sadhu! That means being disciplined in body or disciplined body is a virtue or virtuous quality! The secondly Sadhu comes for the being disciplined by words / Sadhu Wachaya Sanwaro! That means being disciplined by words is a virtuous quality! Then the third Sadhu for being disciplined by Mind / Manasa Sanwaro Sadhu! Having a disciplined mind is a virtuous quality! So this is the reason for teaching “Sadhu Sadhu Sadhu” for the children as the first step to become a Buddhist in old days and in present practicing meaninglessly! 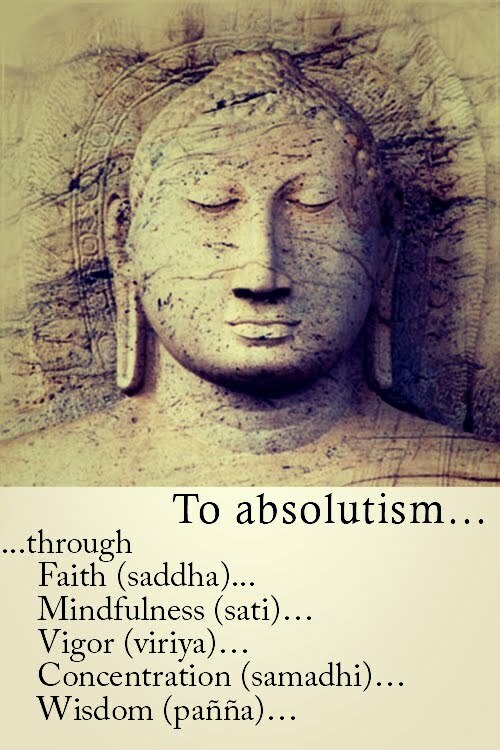 And these are the things we should learn as our very first step into extramundane life to achieve Nirvana… also for those who wish NOT to achieve Nirvana but to follow the Buddhist path as a worldly person these would help him to become a pleasant and honorable person to live with… A REAL HUMAN! Now we should learn the deep meanings inside these 4 steps! Let’s take the first Sadhu which is the Well Disciplined BODY! How we disciplined by body? When we get rid of the evil actions which we do through our body we will get a disciplined body! Then what are these evil actions which we should get rid of doing those? “Killing / Homicide, Stealing / Theft and unchastely / Adultery” these are the first 3 evil actions in 10 evil actions to get rid of when being a REAL Buddhist! When someone doesn’t do these 3 evil actions he or she is disciplined by body. When someone does these 3 evil actions he is NOT disciplined by his or her body! That means only a person who is well disciplined by his or her body has the virtue quality which means he or she is with the first Sadhu quality! We should know that when we disciplined by our body up to certain extent we have the Sadhu quality that much and when we are not disciplined by our body up to an extent we are lack of the Sadhu quality of that extent! So whenever we see someone who disciplined by body we should remember the first “Sadhu”. If YOU have this first virtue which is disciplined by your body YOU can say first Sadhu to yourself too. Likewise when we think about the other people like Bhikku Bhikkuni whom well disciplined by their body we can offer this first Sadhu to them… and also the places like temples which built for Lord Buddha and the Bodi trees… Pagodas etc… are the places which anyone can disciplined themselves through their body by without doing the 3 evil actions and they are places which reminds us that we should follow the eightfold path honestly and we should be virtuous. So we can offer this first Sadhu to those places with the above pleasant thought! Like this way our ancient Buddhist offered their first Sadhu! Then the second Sadhu for being disciplined by WORDS! There are 4 evil actions we do through our words! “False hood / lie, back bite / being a talebearer (tell someone’s bad things or what they said to others when that person is not around…), harsh words/ churlish words and nonsense words / jabbering are the 4th,5th, 6th & 7th evil actions in the 10 evil actions! So when someone or someplace is well discipline by NOT doing these 4 evil actions through words they or that place is suitable for the second Sadhu. And if you are disciplined by words YOU deserve this second Sadhu too! When well disciplined by MIND is where the third Sadhu exists! Craving / Desire, hatred / ill-will and ignorance are the 8th, 9th and the 10th evil actions which cause to block the Nirvana and when someone well disciplined by his or her Mind by NOT doing these or if someplace helps to get rid of these 3 evil actions is deserve the third Sadhu! And also if YOU are well disciplined by your MIND you deserve the third Sadhu too! So whenever we see someone who well disciplined by these triple virtue or when you feel YOU are disciplined by these triple virtue or when you feel some place which helps you & others to become a disciplined person through Body, Words & Mind… the long Sadhu take places as the fourth one! It is long because ancient Buddhist accepted those who well disciplined through all these triple virtue are greatest and they deserve a long Sadhu for being very virtuous! So now we know saying Sadhu by being so religious or to show higher respect without knowing the true meaning is not completing our very first step of being a Real Buddhist. So now we can say “Sadhu Sadhu Sadhu and if like the long fourth Sadhu with a meaning and if we are NOT disciplined or NOT deserve the Sadhu we can stop saying Sadhu too. But I respectfully request you that you never should stop say Sadhu and if you think you are not deserve to offer with Sadhu please try your best to discipline yourself and enter to the Buddhist path by taking the very first step! This will not only guide you to the Nirvana you will guide to be a TRUE HUMAN BEING among all others! So as the words have meaning all the actions also have a meaning! When we say Sadhu there is a way we respect. We never say Sadhu by sitting above well disciplined persons… we always make sure to sit somewhere below to the higher person and sit aside of him or her.There is a meaning to say Sadhu for someone well disciplined like that. If anyone deserve all the 3 Sadhu and the long fourth Sadhu that simply gives the meaning that he or she is well disciplined by triple virtue and he is a real Buddhist who has enter to the eightfold noble path. Normally people who those well disciplined themselves show their differences between others and their through their costume and it’s a must… like all Bhikku Bhikkuni wears the Robs and others should wear the costume with a white cloth across his chest into the direction of North that means should cover his or her right hand side and we normally wear such a cloth when we observe precepts. Those who well disciplined should show others truly that they are followers of the eightfold noble path and then others can easily recognize that those people are difference and should not act with them with normal disrespected too friendly manner. Because if a normal person who not deserve the Sadhu and continue his or her life with 10 evil actions or one or more evil actions abuse the person by intentionally or unintentionally that person will obtain a great sin which will block his Nirvana for many births and sometimes it may cause to guide him or her to the Hell for long time. So those who truly follow the eightfold path should not allow and they will never allow others to have such a worst action. So in ancient times the real Buddhist shows their difference between others and themselves through the costume and others recognize it and offer the true respect through Sadhu. And also by saying Sadhu others express the feeling of that they are really happy to see such a disciplined person with him or her. So why we straighten our tightly closed hand (clench fist) and keep two palms together on our chest to worship and say Sadhu? Think when a police captured a thief and how the thief react… he clench his fist (a hand with the fingers curled into the palm) and keep on the chest and never keep the eye contact with the policeman and request or beg the police to release him and the thief mostly act in the police in the same way. Why the thief didn’t straighten his ten fingers and keep on the chest and ask police straight and direct release me unless he has NOT done a stealing? Normally the nature gives a quality to act like a guilty person when someone DOES an evil work. So these 10 evil actions counted as the 10 horns of humans to hurt others. All human born with tightly curled fingers into the palm (clenched fists). Also human clenched fists when they do many of the above actions. As examples; when someone scold or fight or argue with someone they have clenched fist. And when they like something most they clench it tightly. This means they clench their ten horns to show others that they follow the 10 evil actions. Likewise “Anguli (the Sinhalese words Anga / horns + Guli /clenched = Anguli) and Anguli means fingers. There may be a chance to describe “finger” word too like this… when people in anger they fist their hands and the word finger has come out as a combination of 2 words fist + anger… because in every language all words has the same meaning… whatever we described their meanings according to the language when we think deeply all of them got a one common meaning which has come to that word with the shape & activity of the thing or the animal or the person or the place… that is the nature and the reality but we can’t get that exact meanings when we stuck only to the languages. Any way we should know these 10 evil actions which we now know as our 10 horns are not giving any good for us or the world. And we know those are the things we should NOT do… and we decide whether we clenched those or dissolve them. “Jali (the word gives the meaning of dissolve) so Anga + Jali = Angjali and “Karaneeya” means “Do or Does” and now we know the exact meaning of “Angjalikaraneeya” which means dissolving all the clenched 10 evil actions in our life. So we straiten our fingers one by one and show the disciplined one that we too ready to follow the greatest path by dissolving our 10 evil actions. When we keep straighten ten fingers on our chest as we do when worship that gives the meaning we dissolve the 10 evil actions and accept the greatest eightfold path by heart. And we show that we accepted the Sadu qualities by heart and now I am also ready to deserve the Sadhu qualities. In our ancient time people practice this nicely and correctly and they kept straighten 10 fingers on the chest and say loudly “Sadhu Sadhu Sadhu”. This was their custom and the greatest behavior.So they keep the same symbol to greet the other. Those who well behave as the above way they say to the guest who comes to their house they ask through this symbol that “I am disciplined like this and are you too disciplined well?” So the guest also follow the same custom and he accept it and say that I am too like that by doing the same thing back. We worship the same way by keeping hands on the forehead. Forehead shows the conscientiousness. When we worship in such a way we self promise that we shouldn’t do 10 evil actions which block the path of Nirvana even by mistakenly. I promise myself that I am being conscientiousness all the time to NOT do that mistake and correct myself throughout this eight fold path! When we worship the same way by keeping our hands on the head means we practice this method as the very first method during my life time and even I am ready to risk my life to practice this method. So now we know the very first step of a Real Buddhist with its very true deep meaning. And if you feel uncomfortable with the meanings given to the word I request you to think well… think with a clear mind revise what you have read right now and think again why it is IMPOSSIBLE to be like that? Or why it is NOT IMPOSSIBLE to be like that? Think how suit this way of saying Sadhu as the very first step of a Buddhist. Think how practical is this very first step to follow and promise… thinking how nicely our ancient Buddhists practice this with a great meaning and think what we exactly doing today without a meaningful meaning. Think whether it is better to practice Sadhu like this way OR just say Sadhu whenever you want without any meaning… think think think… because thinking well will increase your wisdom and will guide to the correct path soon! Now I would like to say “Auybowan” to you as now you know the real meaning of the word! And now I say “Sadhu Sadhu Sadhu Sa…a…a….dhu”to this web site which I created as this is purely express the truth to help you to achieve Nirvana! Thank you for this wise and helpful explanation. 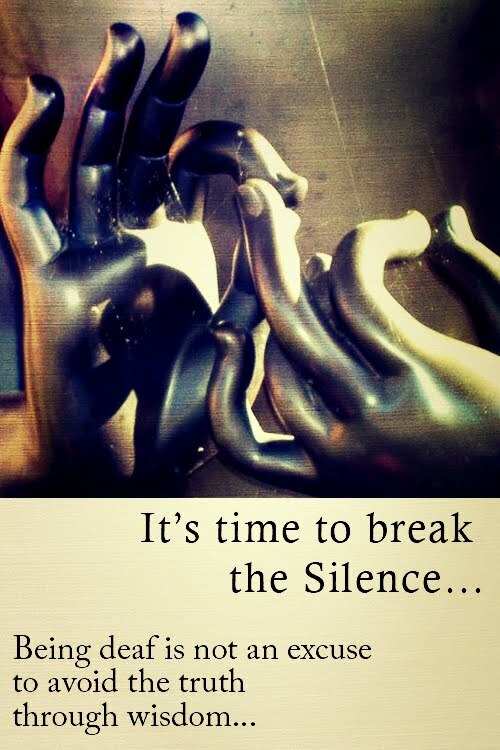 It has helped me to better understand the use of these wise and valuable words in Buddhism! Thank you for this explanation, this was very helpful in understanding these words and their wonderful meanings. 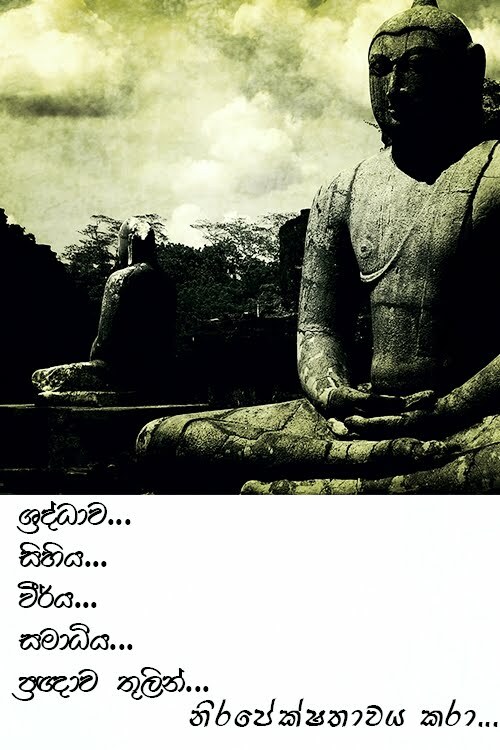 සැගවුණු බොදු මග කල එලි දකී! වෙබ් අඩවියට සම්බන්ධ වීඩියෝ ආදිය නැරඹීමට යූටියුබ්හි නිර්මාණය කර ඇති “නිර්වාණ ධර්ම“ චැනලයට මෙතැනින් පිවිසිය හැකියි. Official Youtube Channel for the "Nirvana Dhamma" web site & blog! "Nobody but you can save yourselves. You, when well disciplined yourselves, become your own savior!" So what I can do is, explain the path which Samma Sambuddha has explored and what you can do is SAVE YOURSELVES! ඉතින් මට කල හැක්කේ සම්මා සම්බුදු පියාණන්වහන්සේ පෙන්වූ නිවන් මඟ මතු කර දීම පමණි... ඔබවම ගලවා ගැනීම ඔබටම කරගත හැක්කකි! නිවන් ලැබුමට... නිවන් මඟ වූ, සමාධි භාවනාව දන්නවද? නිවන් පූර්ණයට සතර දැහැන් අවශ්‍යමද?